Always a tremendous crowd favourite, the Historic Touring Car Championship is for saloon cars that were in series production before 1966. Cars can be developed in line with period modifications, and a separate class is run for cars complying with FIA Appendix K regulations. 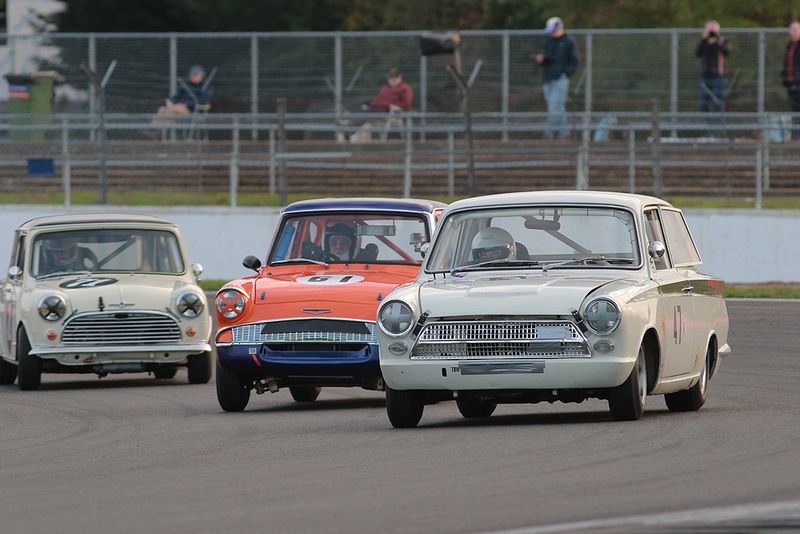 With Mini Coopers taking on Ford Anglias, Lotus Cortinas, Ford Mustangs and Ford Falcons, the racing is always exciting. The Championship is open to saloon cars of which the model was in series production on or before 01/01/1966 and which are either listed as homologated cars for Appendix K or appear on the permanent list of eligible vehicles held by the Historic Racing Saloons Register. Two-plus-two cars, vans and estate cars are not eligible. HRSR cars may either be homologated or non-homologated saloons. All cars must have current FIA HTP or HSCC Vehicle Identification Forms.